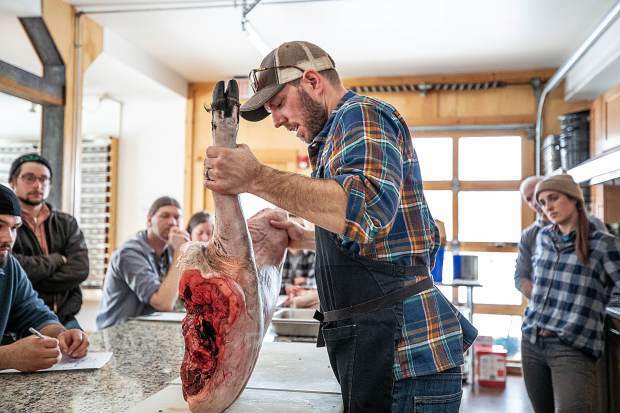 Rock Bottom Ranch Director Jason Smith butchers a pig Tuesday afternoon to educate Roaring Fork Valley chefs and employees of local grocers how to use less coveted cuts of meat. 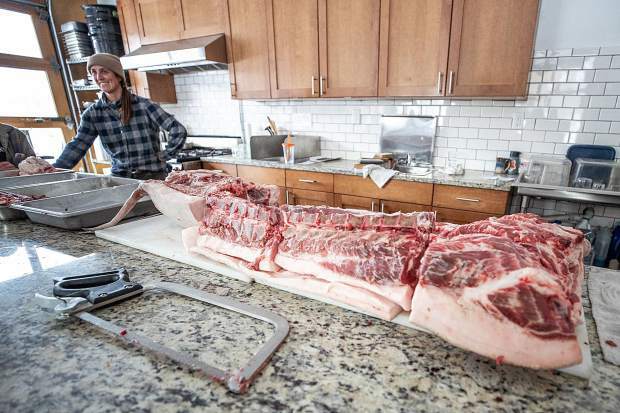 Rock Bottom Ranch Director Jason Smith demonstrates Tuesday how to butcher a pig. 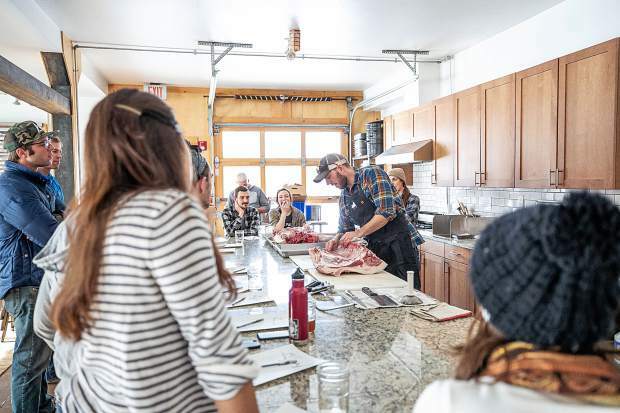 Watching are employees of local restaurants, independent chefs, grocers and farm-to-market shops. 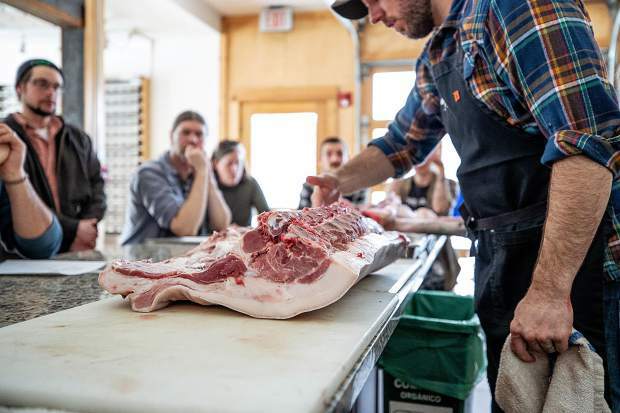 Rock Bottom Ranch Director Jason Smith demonstrates how to butcher a pig Tuesday afternoon and how less coveted cuts of meat can be used. 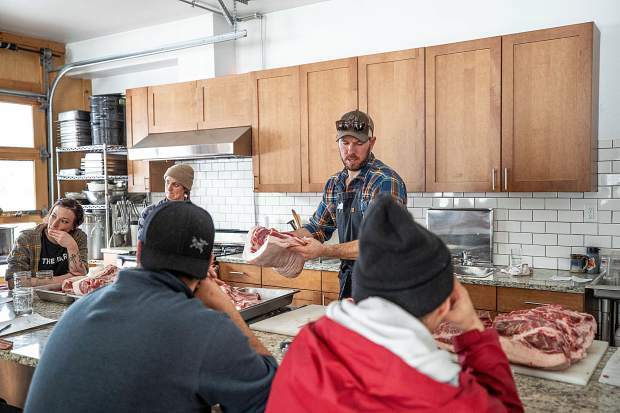 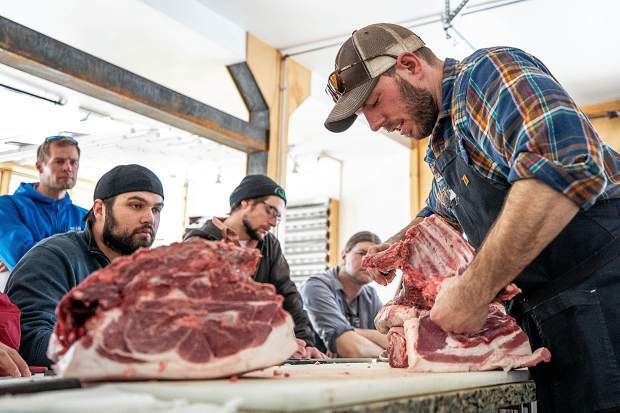 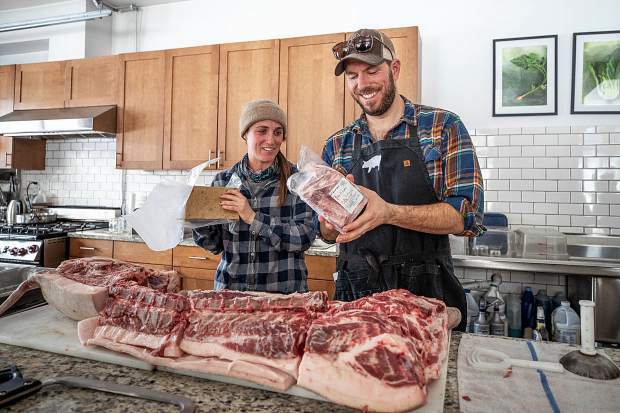 Aspen Center for Environmental Studies Rock Bottom Ranch Director Jason Smith butchers a pig Tuesday afternoon to educate Roaring Fork Valley chefs and employees at grocers how the whole animal can be used. 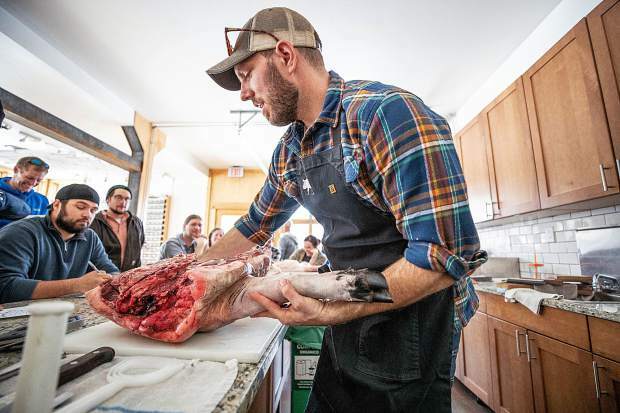 Rock Bottom Ranch Director Jason Smith butchers a pig Tuesday afternoon to educate Roaring Fork Valley chefs and employees from local grocers on how to not waste parts of the animal.